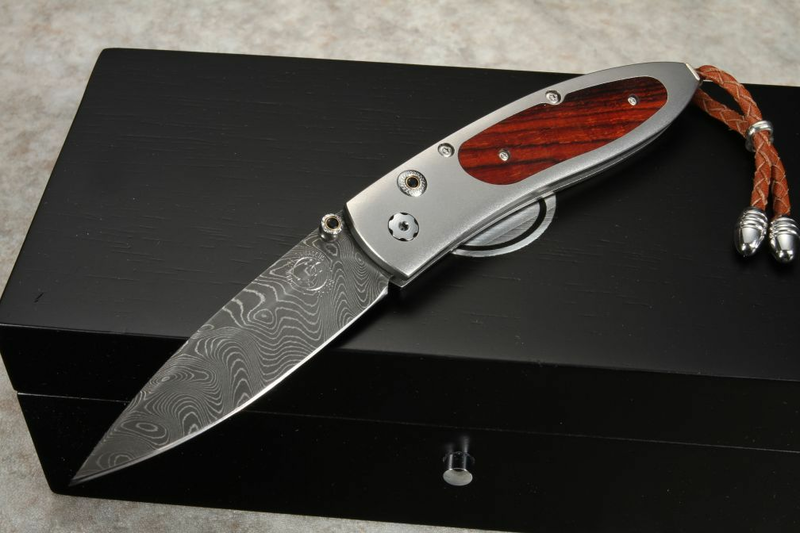 The William Henry B05 Granada cocobolo and boomerang pattern damascus is a limited edition model of only 250 individually numbered knives. What sets this knife apart is the black stunning hand forged boomerang pattern damascus blade by Chad Nichols and the presentation grade cocobolo wood handle inlay. The frame of the knife is aerospace grade titanium for superior strength and reduced weight. 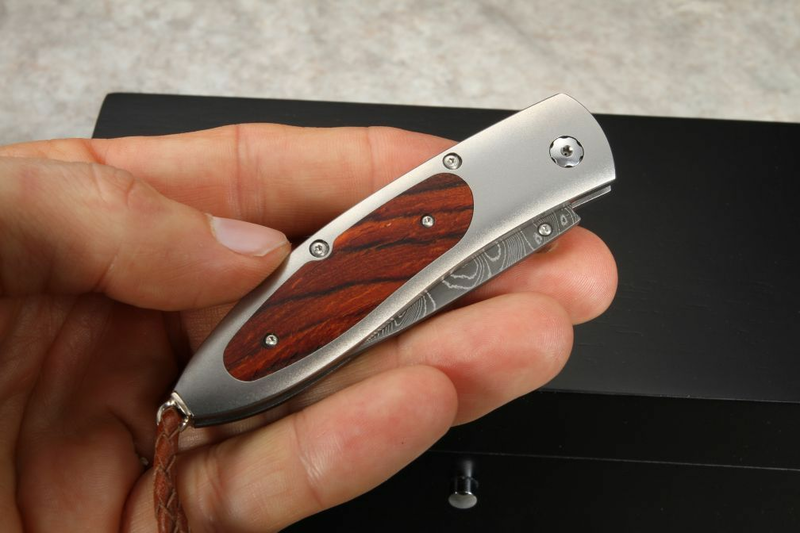 This William Henry folding knife has dark spinel inlays on the button lock and the opening thumb stud. 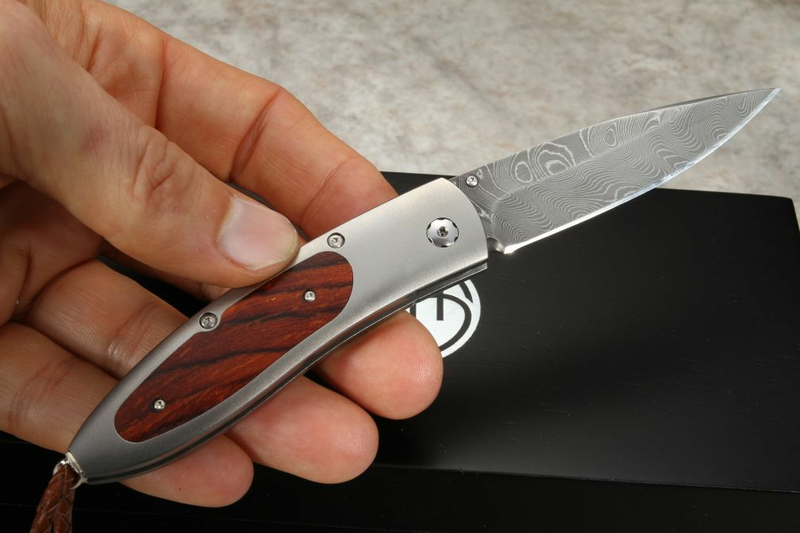 This damascus folding knife opens smoothly and closes with the depression of the button lock on the handle frame. The pivot, screws, spacers, button and thumb stud are polished - creating a nice contrast on the gray titanium handle. The B05 Granada comes with a black leather clip case. The knife is completed in sterling silver bale with a brown leather lanyard and stainless steel beads. The knife is individually numbered and comes in an upscale wood presentation box. As an authorized dealer, order this new knife with confidence and a satisfaction guarantee. 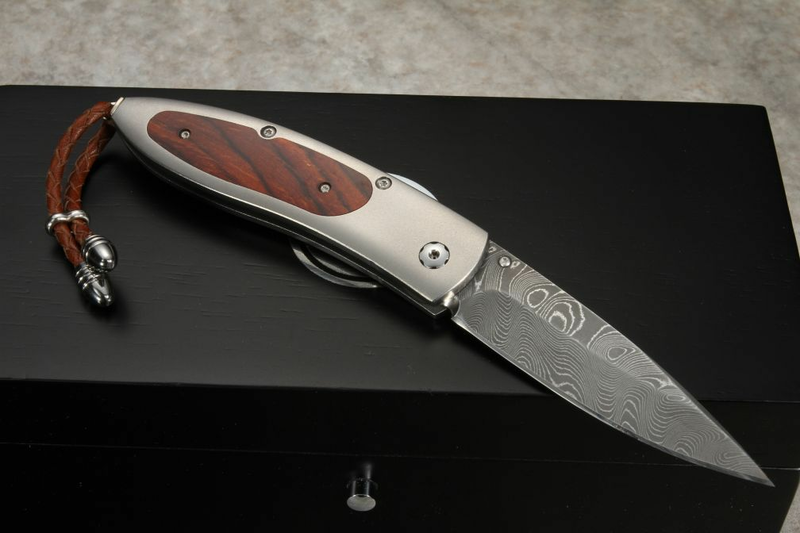 HANDLE: Titanium with a cocobolo wood inlay.